The Solaire Expo Maroc exhibition will be held from February 26 to 28, 2018 in Casablanca. The upcoming 8th edition of this event will allow the Cherifian kingdom to present its know-how in the solar energy sector. The show is organised by the Moroccan government, under the high patronage of His Majesty King Mohammed VI. Its organisers present it as an “adequate and coherent B to B platform to create, develop and present solutions for actors and amateurs of solar energy and energy efficiency”. Solaire Expo Maroc or the International Exhibition of Solar Energy and Energy Efficiency is an annual show during which activities related to the promotion of renewable energies are highlighted. The 2019 edition will be held from February 26 to 28, 2019 at the Exhibition Centre Office of Changes in Casablanca, Morocco. During three days, participants will present their skills as well as technological solutions and innovations in the field of solar energy. The exhibition will allow nearly 600 conference participants to debate and 8,000 visitors to discover technical innovations and the latest trends in the field of solar energy. Morocco receives 3000 hours of sunshine per year, and has an average irradiation of 5KHh/m2. Renewable energies represent 5.8% of the energy consumed in Morocco, a percentage that was 2.6% in 2002. This increase reflects the country’s desire to move fully towards renewable energy. Morocco is also connected to the Spanish electricity grid by two 400 kV/700 MW lines, a strategic position that makes Morocco a favourable location for potential investments in solar energy. Morocco produces solar thermal energy and photovoltaic energy. The country wants to use these natural and inexhaustible resources to reduce its energy dependence on the outside world from 95% to 85% by 2020. To achieve this, the Cherifian Empire plans to produce 14% of its electricity needs from solar energy. A target of 42% had been set for renewable energies and has now been raised to 52% and will have to be achieved by 2030. 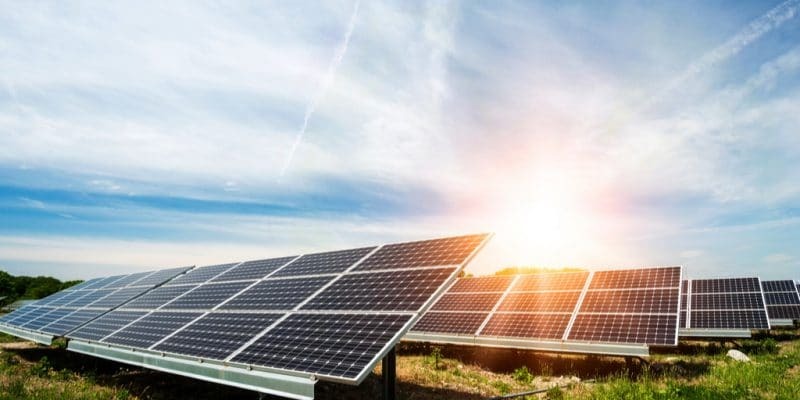 These potentialities will be highlighted in February 2019, during the Solaire Expo Maroc, which is gradually establishing itself as the leading trade fair in the field of solar energy and energy efficiency in Morocco.